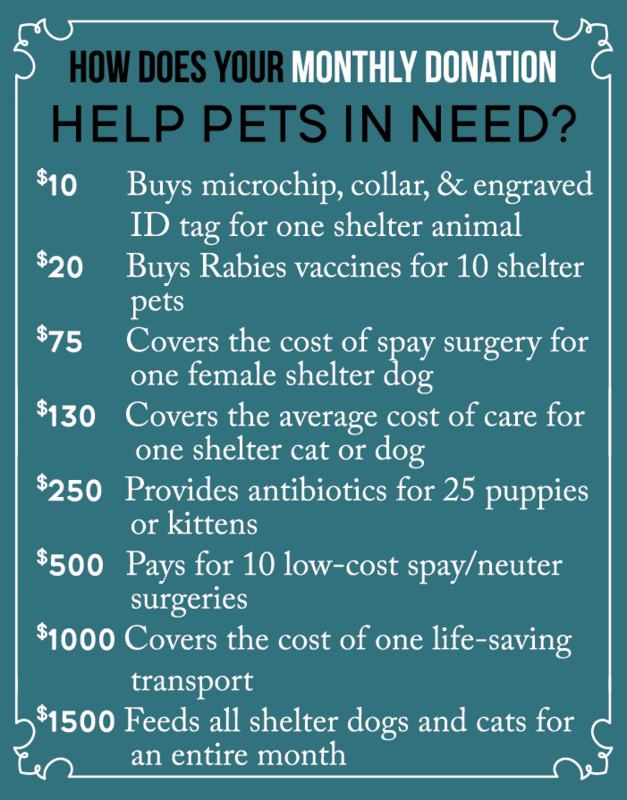 Join the Constant Companion Club to support Southern Pines Animal Shelter’s homeless dogs and cats every month. It’s simple! You determine the amount you’d like to contribute each month, and you don’t have to worry about writing a check or mailing an envelope. I’m Ready! How do I join the Constant Companion Club? Click on the button below, choose your monthly giving amount, which of our Southern Pines organizations you'd like to support, and click "DONATE!" 2. Pledge/Bankdraft: You determine the amount you’d like to contribute each month, and you don’t have to worry about writing a check, finding an envelope, or buying a stamp every month! Download and print the form below and mail the completed form along with a voided check to Southern Pines Animal Shelter.